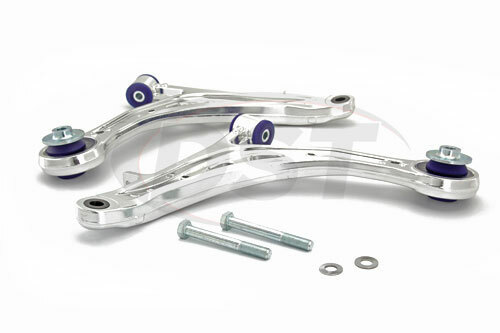 These Lightweight Alloy Front Lower Control Arms from SuperPro weigh 38% less than the old steel OE arms and provide a 1.5 degree caster angle increase. 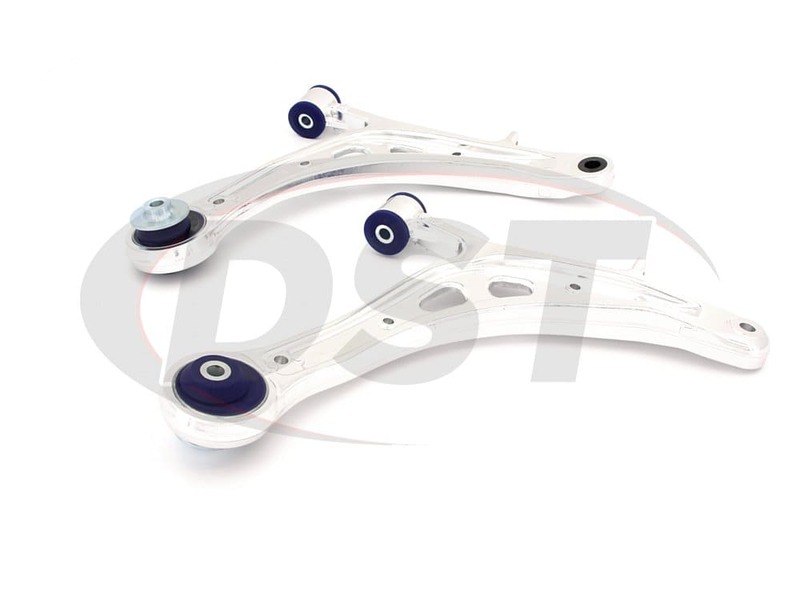 This kit contains both replacement front lower control arms which bolt onto the subframe and wheel hub, providing a simple upgrade solution. Do you enjoy squeezing every ounce of performance out of your WRX or WRX STi? If you're looking for an easy way to reduce weight and straighten out your hard launch then these control arms will accomplish that. Lighter is faster. 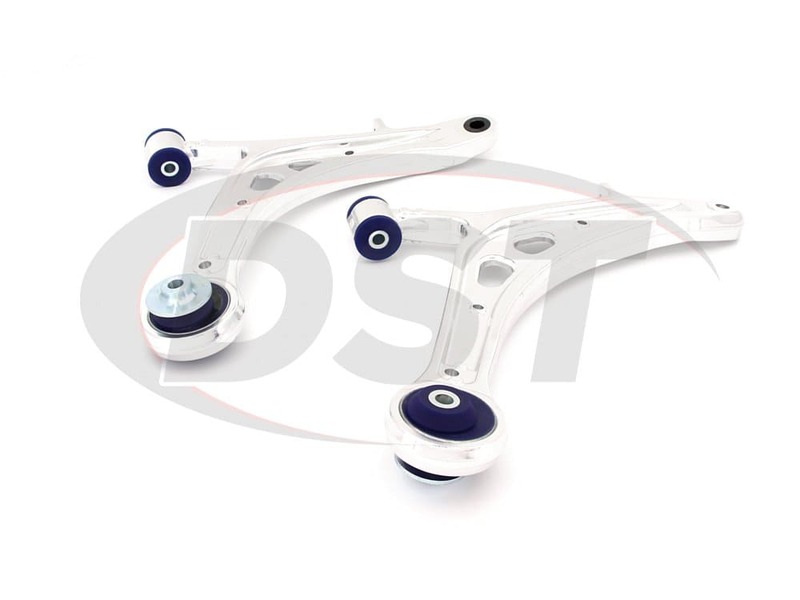 The OE control arms on the Subaru Impreza WRX are made of steel which is strong but also heavy. 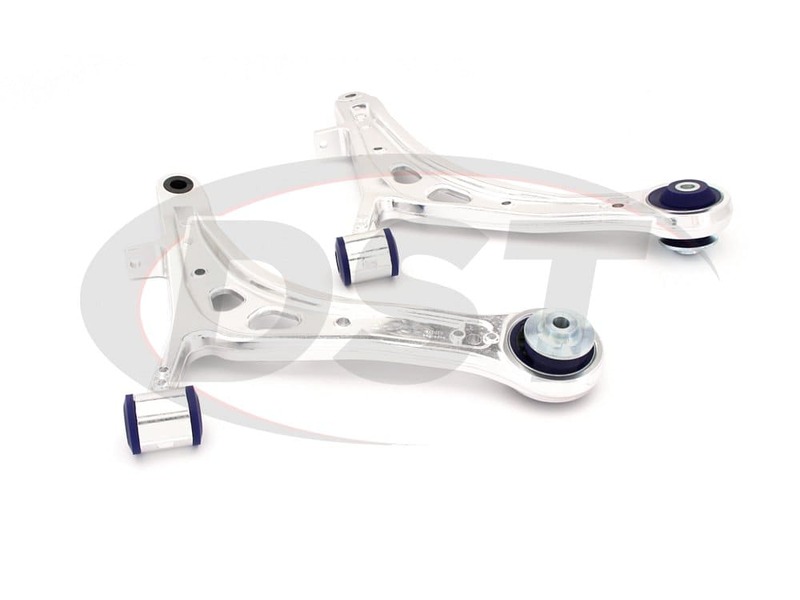 If you're concerned about every pound on your Subaru then SuperPro's alloy front lower control arms will reduce the control arm weight by 38% while maintaining strength. 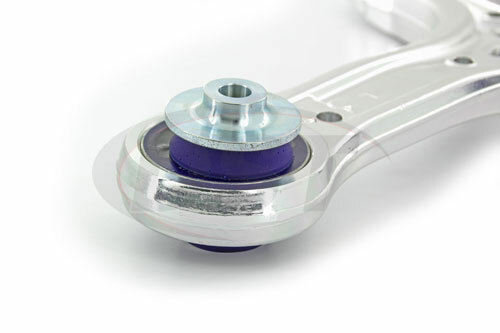 Also, SuperPro's DuroBall bushings will increase the caster angle of the front wheels by 1.5 degrees, which will help keep your steering centered when you hammer the go pedal. 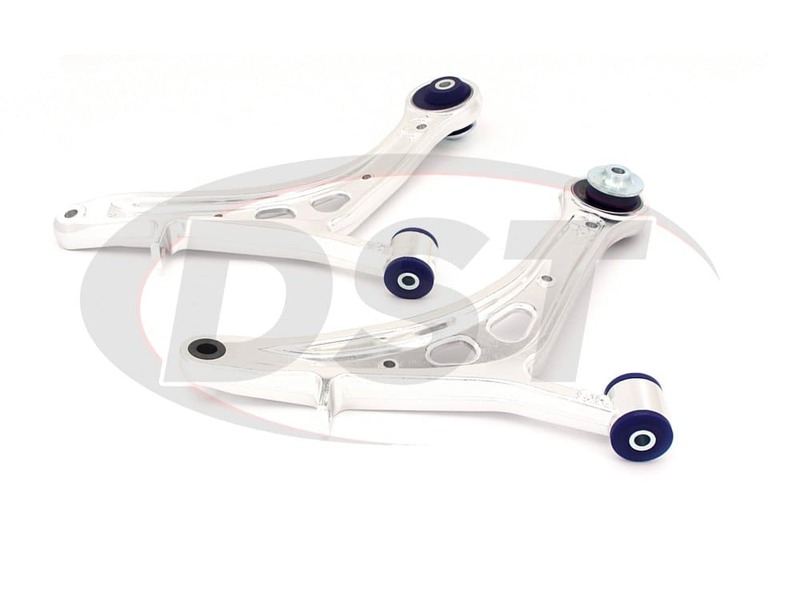 So if you're getting ready to hunt down the track record at the Motor Sport Ranch in Cresson, TX check out these performance front lower control arms. 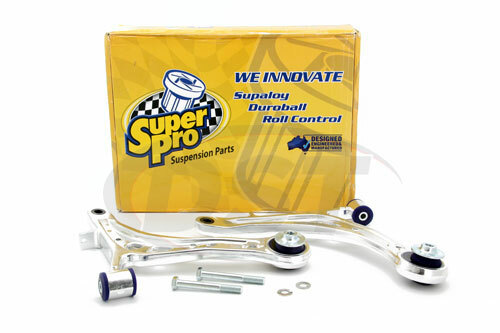 SuperPro is an Australian suspension parts manufacturer with old ties to the rally car world. They have a serious reputation and they develop serious parts for serious drivers. SuperPro backs all of their performance parts with a lifetime warranty that covers racing and off-road applications. 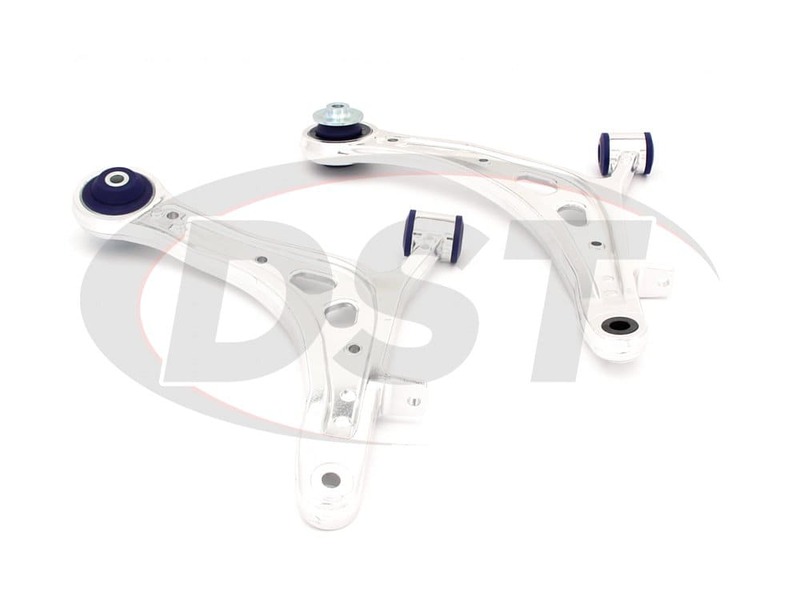 So if you do manage to break one of their parts, first of all, you're a member of a very exclusive club, and second, DST will handle that warranty in-house for you. Alloy0015k - Is this item compatible with sh models also? At this time the Alloy0015k is showing to be compatible with the WRX models only. How much does the aloy0015k weigh? We have the aloy0015k at 18.001 pounds per kit. Will part number aloy0015k fit my 2007 WRX Limited Wagon? No, part number aloy0015k will not fit the 2007 WRX Limited Wagon.